/Is the Future Making a Comeback? Is the Future Making a Comeback? Many remain gloomy about the prospects for the economy and the stock market. We believe the gloom remains excessive. New “highs” in stock indices reflect underlying fundamentals. 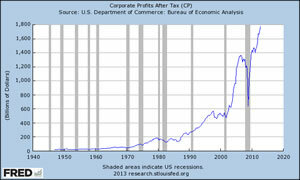 Corporate earnings made all time new “highs” nearly three years ago and continue making new highs. Economic fundamentals are more resilient and dynamic than many believe. A bottom-up revolution of sorts is driving the economic expansion. Fertile investment opportunities are being created. 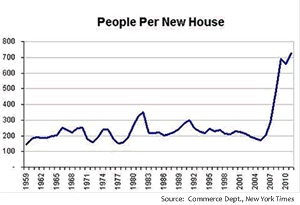 Economic growth is now being augmented by former trouble spots – housing and auto sales. 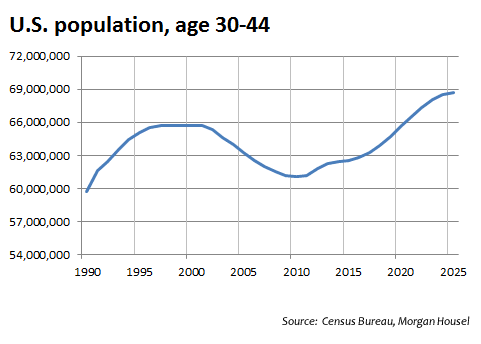 Growth is also being augmented by U.S. demographics. Transitory stock price “correction” always a risk, but ingredients for a punishing “bear market” do not appear present. Many find encouragement in situations involving dramatic comebacks. A story involving someone overcoming seemingly insurmountable odds and recovering from a serious setback never seems to lose appeal. However, the comeback story that has unfolded in stock prices over the past few years has elicited a very different sentiment by some high profile pundits. Rather than finding encouraging signal content in the major U.S. market indices reclaiming and exceeding 2007 pre-financial panic peaks, some divine only potential troubles and problems from this comeback. We believe the accumulating fundamental evidence calls for a very different perspective on the economy and the markets than the sentiment expressed by Stockman. 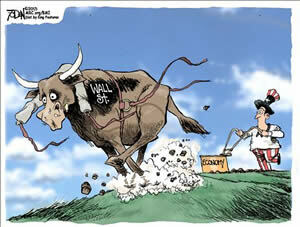 First off, it is important to keep in mind that the stock market represents a giant forecasting mechanism. The market reflects the collective views of a huge number of people from across the expectations spectrum — optimists, pessimists, so-called “realists” and opportunists. The result is a weighted probability of expectations about future business prospects in general and corporate earnings in particular. Markets are, of course, imperfect forecasters as the Samuelson quote below succinctly suggests. Since markets reflect human expectations, they too reflect human psychology, which at times can trend towards excessive optimism and pessimism. It has been our view — and as the Pew poll referenced earlier attests — the Financial Panic of 2008 (understandably) damaged the collective “psyche” of investors. Ever since, forecasts across the spectrum have reflected historically high levels of fear, uncertainty, and doubt about the future. 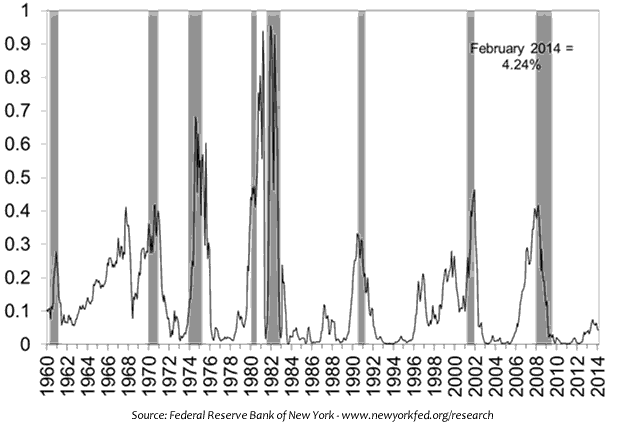 These conditions have even spawned a cottage industry of predicting the next “big one” (market panic). The result has been, by our reckoning, excessive pessimism about the economy and the prospects for growth. As Figure 2 indicates (click it for a larger view), corporate earnings first made new all-time “highs” three years ago, and the uptrend has continued with each successive quarter. Viewed through the lens of earnings—which we contend reflect the type of “real economic gains” Stockman contends are missing—the case can be made that the stock market’s excessively gloomy forecasts of recent years are grudgingly being revised upwards simply to catch-up with what has transpired in the economy. This grudgingly upward adjustment in expectations is a far cry, however, from stock prices being detached from the underlying economy or reaching anything close to bubble territory. But what about the fear that all this could change and a stock price crash could again touch-off yet another nasty recession? Regarding stock market declines triggering economic downturns, care must be taken in distinguishing correlation between events and causality. Ever heard of the Super Bowl indicator or the hemline indicator? Mistaking correlation (things that move together) for causality, the Super Bowl indicator suggested the stock market would rise or fall depending on whether an NFC or AFC team won the big game. Similarly, the hemline indicator (shorter skirts meant higher stock prices, longer skirts meant falling prices) was also once touted as a reliable investment indicator. Alas, the spurious correlations with stock prices for both of these “indicators” did not last. As noted earlier, stock prices reflect expectations about the future prospects for corporate earnings and the general business environment. 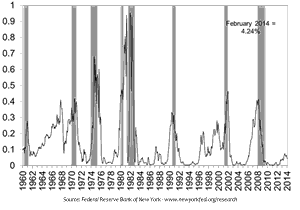 General stock price movements are, therefore, a leading indicator of business conditions. And, while there is evidence of a wealth effect associated with stock prices such that big price moves may amplify underlying economic trends, stock price movements are not the root cause of either recessions or economic expansions. Moreover, the “root causes” underlying the contemporary economic expansion remain more resilient than many believe, in our estimation. Neither recession nor economic stagnation is on the horizon anytime soon. To address another course of major worry expressed by Stockman; it is absolutely true that Federal Reserve policy has helped the comeback in stock indices by fostering an environment conducive to economic expansion. And yes, the risks (inflation) of a crisis monetary policy being in place too long could potentially become a big issue at some point. But “phony money” is not driving the expansion. 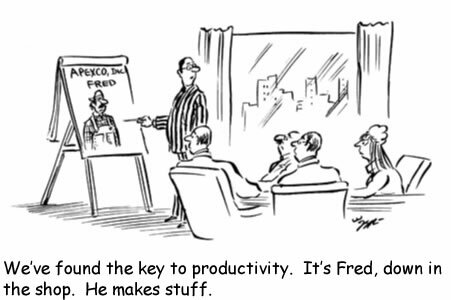 The driving wheel is the dynamism that flows from the marketplace for new ideas, innovations, and the relentless quest for productivity gains by businesses. What are the Underlying Fundamental Trends? The dynamism trend is one we have been discussing (and investing in) for some time now. At its core is the emergence of the unprecedented ability to access and share information that technology has enabled. The mass diffusion of knowledge and the ability for human ingenuity to assemble ideas into new innovations, as a result, are the ingredients for economic growth and represent significant investment opportunity. ”“The main reason for cheer is that beyond the Beltway no one is waiting for the federal government to fix the economy. At the regional and local level America is already reforming and innovating vigorously. Local officials are competing viciously to lure migrants and investment. They are using every imaginable enticement, from scrapping income tax to building more bike paths. But they are also embarking on far-reaching reforms. Education, for example, is being turned upside down in the most comprehensive overhaul in living memory. On infrastructure, mayors and governors are grasping the nettle Congress will not, by coming up with new funding mechanisms. Washington is not completely absent from these changes. But the overall picture is of revolution from the bottom up, rather than the top down. America’s competitive recovery is not as strong as it should be, and it will remain overshadowed by its shaky public finances. But it is real. And for all the histrionic talk of cliffs, brinks and shutdowns, the politicians in Washington have not inflicted any crippling damage yet. 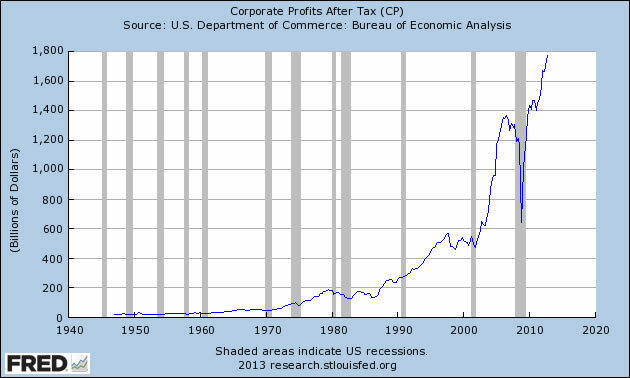 Those who like to lecture smugly about America’s impending decline should take a closer look. Perhaps the most salient example of the bottom-up revolution is the change in domestic energy production that continues to unfold. (Figure 3 below – click it for a larger view). 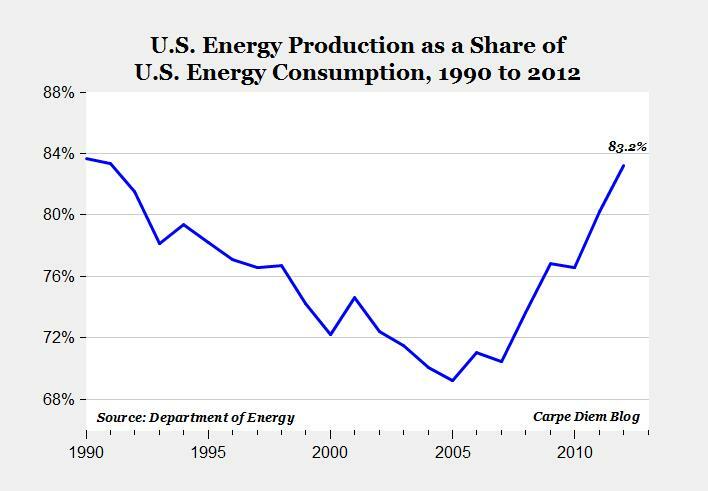 For decades, each newly elected president offered energy policies that would “wean the country off foreign oil”. No doubt countless dollars have been thrown at these top-down policies. 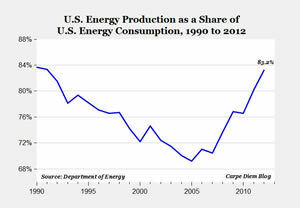 Despite this, progress towards “energy independence” has been elusive. Until recently, that is. Adoptions of mostly bottom-up innovative drilling techniques have created what amounts to an effective energy policy. Multi-national businesses are relocating to the states to secure critical manufacturing advantages that stem from energy cost savings that have now been made possible. Meanwhile, additional oil and gas “finds” larger than those already being accessed are now within reach due to the bottom-up drilling innovations. The non-stop dynamism is also making its mark elsewhere in manufacturing. Computational manufacturing and additive manufacturing made possible by innovations such as 3-D printing and simulation software continue to be potential “game changers” with respect to the production of goods. As noted on previous occasions, some regard these and related innovations as having the potential to usher in another leg of the Industrial Revolution. Only time will tell if the changes underway will rise to Industrial Revolution status, of course. But it is clear that these innovations have already triggered not just a manufacturing comeback, but a renaissance of sorts with more potential applications to come as market awareness grows. It is easy to understand why top-down policy wonks and many macroeconomists could underestimate the strength and resilience of the bottom-up trends. 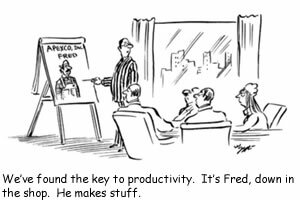 After all, many such folks are preoccupied in search of “just the right” policy lever to pull or button to push to promote growth. But the real answers to growth lies not within the great minds of the relatively few making policy or hoping to make policies. Instead, the answers lie within the collective great mind of the millions and billions of individuals applying their ingenuity everyday within the marketplace. Furthermore, the bottom-up trend is no longer doing all the pulling alone. Additional sources of resilience and strength for the economic expansion are also emerging. 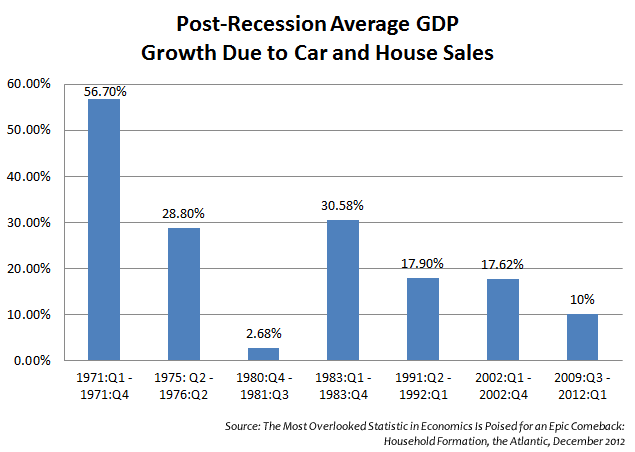 Figure 4: Housing and autos had not played their traditional growth boosting cyclical role in this expansion. This is changing of late, however. The hardest hit economic sectors in the downturn were obviously housing and autos. Unlike their historical role of boosting growth early in economic recoveries, these two sectors had been in hangover mode for the current expansion until very recently (Figure 4 – click it for a larger view). Now vehicle and home sales are in the process of staging strong recoveries and will likely provide additional impetus to the pace of the overall expansion. In addition, pent up demand for homes due to population growth and household formations (Figure 5 – click it for a larger view) suggests annual housing starts could easily double from recently improved levels in the near future. Speaking of household formations, demographic trends suggest the housing and autos recovery could well be sustained for an extended period. 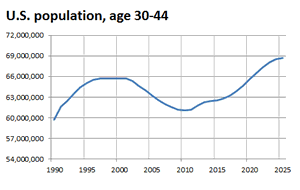 Demographers point out that this year will be the first since 2000 that the segment of the population in the 30-44 year old age “cohort” will increase. (Figure 6 – click it for a larger view). This group has important implications for a couple of reasons. 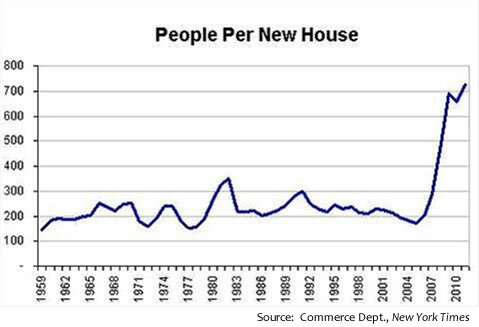 First, the 30-44 year old group tends to form households at a very high rate. As they do so they also purchase autos and homes at the most rapid pace of any age group. Importantly, these tendencies are also backed by spending capacity as this group also enjoys some of the largest wage increases of all age groups. In combination, these factors could power autos and housing for an extended period this business expansion. Secondly, the 30-44 year old cohort is important for other reasons as well. According to the Kaiser Foundation, this group also starts the greatest number of new businesses. And new business start-ups are also the largest contributors to net new job formation across the economy. All this does not mean everything is wonderful, of course. Considerable economic problems exist here and abroad. We also share some of the concerns (large scale government spending) Stockman presents in the full text of his Times article. In addition, geopolitical hotspots also remain genuine sources of potential trouble and heightened anxiety about the future. However, history attests that times are never free of real or possible problems. In past Perspectives, we noted similarities between the current psychological “state” of investors and those that prevailed during the 1950s. We also noted that from fear laden valuation levels very similar to those prevailing currently, stocks rewarded investors handsomely across the decade of the 1950s. And while nostalgia may make the 1950s look all warm and fuzzy 60 years later, investors back then had to endure multiple recessions, “hot” and “cold” wars, rising interest rates and inflation, and a changing social fabric during that decade. No doubt those troubles were regarded as every bit as intractable as those we are facing currently. In recent months, stock prices have moved higher in almost an uninterrupted fashion, and history also suggests a “correction” in prices may, indeed, occur in the near future. But we believe the fundamentals underpinning the economy and many stock prices would render a price correction a transitory event. These fundamentals are not conducive or indicative of vulnerability to recession or the type of bear market decline that some fear. The longer the economy demonstrates its resilience, the greater the probability that belief will grow among investors that perhaps the future indeed possesses some worthwhile investment opportunities. Rather than something to be feared, perhaps realization will spread that new price “highs” are a signal that a future with opportunities is slowly making a comeback! has provided early warnings in the past. 1 Stockman, D. (2013. March 31). State-wrecked: the Corruption Capitalism in North America. New York Times. 2 McBride, E. (2013. March 16). Cheer Up: Competitiveness in the United States. The Economist.